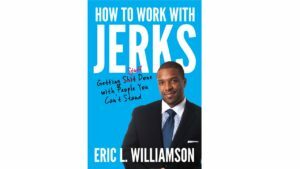 Whatever you do and wherever you work ― jerks are all around you. And without a clear strategy for working with these difficult people, we inevitably suffer and risk failure on the job and in our careers. This book offers that strategy. I was lost and didn’t know what to do with my manuscript until I met Cathy. It was the wisest decision I ever made. Her insight, expertise, resources, and unwavering support helped me publish the book of my dreams. Because of Cathy I can proudly say that I am a published author. Whether you are working on your first book or 5th, I highly recommend you work with her. It will be the wisest decision you will ever make! Order your book from Amazon.